GIVING TUESDAY with A Thick Girl's Closet: Helping the Homeless! It’s Giving Tuesday and we’re celebrating by giving care packages to those in need, the homeless! Started by A Thick Girl’s Closet dedicated to giving back! Y’all… Have you heard of Giving Tuesday? Yes, Giving Tuesday is an actual thing! I’m being for real! #Givingtuesday is a movement to create an international day of charitable giving at the beginning of the holiday season, right after Thanksgiving! Now that we’re all ‘stuffed’ with Turkey and mashed potatoes, our pockets a little lighter from all of the Black Friday and Cyber Monday shopping, now is the time to give back to those less fortunate with! The woman behind helping the homeless this #GivingTuesday is Blogger and Content Creator of A Thick Girl’s Closet, as well as a friend of The Curvy Fashionista, Shaina Tucker! Shay is out here serving looks and showing off her amaaaazing long legs in all of the hottest plus size looks. Shay not only serves up great fashion, she also gives tips on hair, makeup, travel and so much more, including her YouTube channel! She is a plus size blogger to definitely know! And for Giving Tuesday, the 6 foot New Jersey Native is standing tall with the plus size community. Shay is using her platform and resources to create care packages for those who really need them! “After doing some community service a few weeks ago, i finally decided to go ahead and do something I’ve wanting to do for a few months now. I want to put together care packages for the homeless… I knew for sure that this is what I wanted to do to give back to my community this holiday season. When we caught wind of her campaign and goal, we knew that we had to throw our support behind her to help amplify her goal and message! 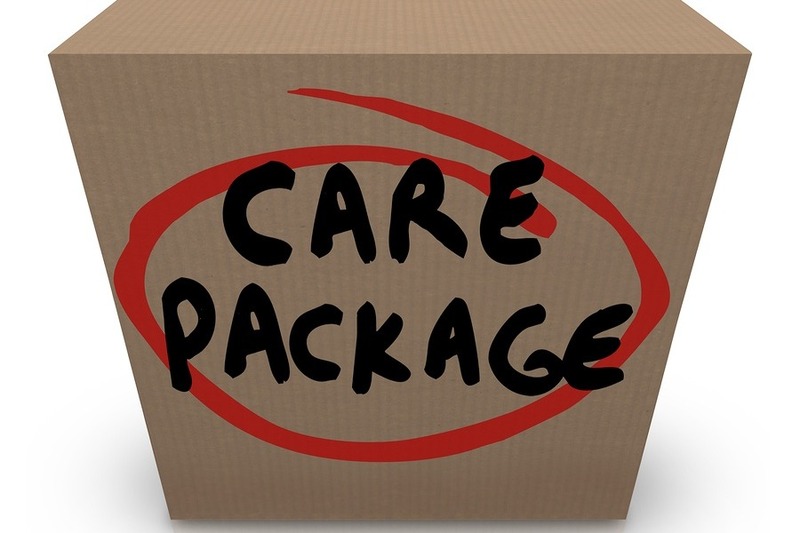 Do you know how impactful care packages can be? Let’s do this! Her goal is to raise $400, to properly put together everything she needs for these care packages! We think that we can totally help her reach this goal, right?! So let’s all start off this holiday season with Giving Tuesday and help out the homeless! Whether you can give $3 or $20, anything that can be donated is appreciated to help someone less fortunate! Support A Thick Girl’s Closet at GoFundMe.com! Click the link above to celebrate Giving Tuesday the right way and make someone’s day a little brighter! How amazing is this? sing her platform to raise awareness about homelessness AND to do something to help?! We are here to support you Shaina! Brava!